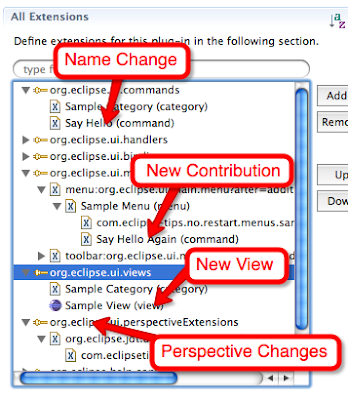 When you are developing Eclipse plugins, sometimes its annoying that the changes in the plugin.xml won't reflect immediately. You need to restart the target Eclipse to see the changes. This will be painful if you are playing with trial-n-error stuff like the menu urls. 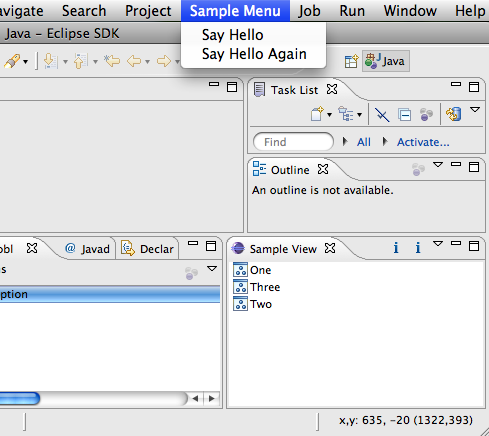 In this tip, I'll explain how to make Eclipse reread your plugin.xml without restarting the target. Check the UI contributions of your plugin. 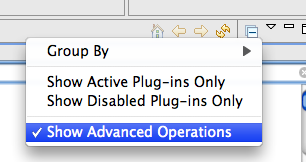 Right click your plugin and select Disable. Then right click again and select Enable. Since you have made changes to the current perspective by adding a view, you would be greeted with this Dialog.